Work prints into your party wear this season with this mega cute jumpsuit. 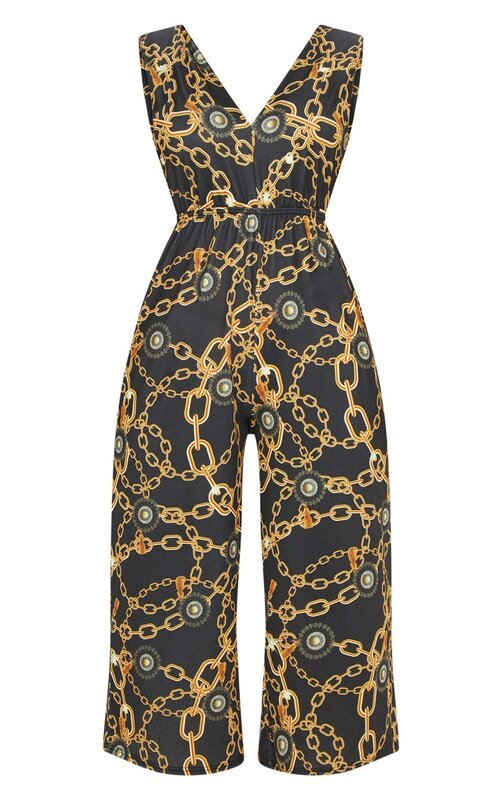 Featuring a black chain print material, with a plunging neckline and wide leg culotte shape, what's not to love? Team with gold barely there heels and add statement accessories for a look we're loving.